DISCOVERY – Does your large interactive screen have the right support? Dalen Design Concepts are excited to announce that we will be exhibiting at Wales’ annual Festival of Public Procurement taking place on Thursday 9th November 2017 at the Motorpoint Arena at stand 34 in Cardiff. Dalen Designs will be showcasing some of our next generation meeting room and video conferencing solutions. The workplace has become an exciting interactive space where office furniture is combining with technology to deliver what workers want and need, through innovative furniture design. Here at Dalen, we discuss your complete requirements before coming up with a strategic solution for meeting spaces that can incorporate audio visual and other technologies to deliver a fit-for-purpose solution. 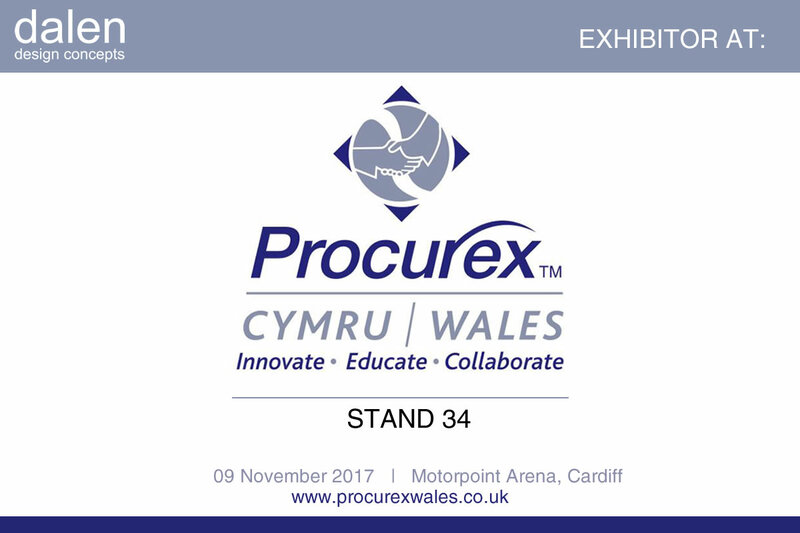 Procurex Wales is the country’s biggest procurement event and brings together key organisations across all types of industries to showcase innovation, collaboration and education. Procurex Wales Live brings together over 1000 delegates, 30 speakers and over 60 exhibitors for this day of learning and engagement focused on public sector procurement within Wales. HELLO, CAN’T FIND WHAT YOU ARE LOOKING FOR? THEN PLEASE ENTER YOUR ONLINE ENQUIRY HERE. Copyright 2018 Dalen Design Concepts.